Edit 2016: Whoops, totally forgot to hit the “Publish” button on this one. Almost a year later, and I finally found it/remembered to publish it. Though I haven’t been playing, I still find myself buying stuff for the future event that I will play (go figure). 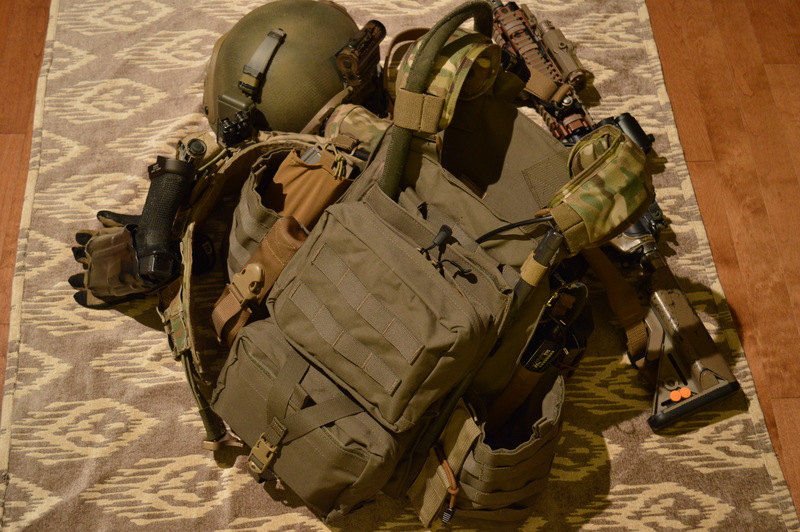 I’ve been re-evaluating the set up on my MRC APC and purchased a couple new bits of kit for it recently – the most notable of which is an Assault Back Panel Type 1, also from Mayflower Research & Consulting. Will I use most of its features (as they were designed for)? Probably not. But does it look awesome? It sure does.